Our site has a tremendous amount of info so please read through the information. Can't find what you are looking for? Just email us and we'll be happy to chat with you. Baseball has captivated kids for the past decades. Don't worry if your kid has never played, as most kids here haven't so your child is not at a disadvantage. A lot of kids have only picked up a bat in the last couple of years, and every year we add more new kids to the program. What does SGMBA stand for? Yes, SGMBA actively supports girls in baseball as part of our Recreational and Rep Level Programs. All costs associated with playing in the Recreational League Program are covered by PMBA Registration Fees. In the Parkland Twins Rep Program, additional funding is required either directly from the families or through team fund raising initiatives to cover added Association Expenses, League Fees, Tournaments, Travel and other related expenses. Refer to PMBA's Registration PAge and respective Division pages for more information. The Rally Cap program is an initiative to enhance players’ and coaches’ first experience with the game. The program the program is open to players born between Jan 1st, 2011 and Dec 31st, 2012. It helps teams teach players the five FUNdamentals of baseball in a fun and safe environment. Players have the opportunity to perform different tasks in order to earn a colored Baseball Canada Rally Cap. Cap colours correspond with various levels of achievement. The program is designed for young baseball players. Goals 1. Create an environment in which children and adults can have fun with baseball 2. 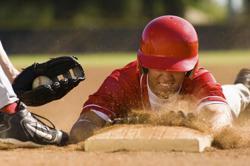 Teach baseball skills, rules and strategy to our players 3. Model and teach competitiveness with an emphasis on good sportsmanship Each Year we kick of the RallyCap season with a hotdog BBQ and uniform hand out day! It’s a great way for parents and children to meet the coaches and get excited for the season! When can I register my children & how do I register them? PMBA's registration period begins the first week of February and ends the first week of April. Additional late fees are applied are implemented following the close of our registration period. Refer to PMBA's website Registation Page for more information or contact our Registrar. When does the league play begin & end? Play usually begins during the first week of May, depending on weather, and ends during the last week of June for Recreational League teams. Rep teams also play in July and, depending on the success of the team, possibly well into August if the team advances through to Provincial Championships and/or post Provincial Championships such as the Westerns and Nationals (where applicable). What if my child wishes to play beyond the end of June? PMBA actively promotes the A2 program which is a baseball program that runs for the month of July. This is a great introduction to the Performance/Rep program. The teams are generally picked from the recreational program. Identification camps are held in the last couple weeks of June. It is open to any mosquito aged player as well as 2nd year rookie from the Parkland area wishing to play a few extra weeks of baseball beyond the season. For more information, please contact your player’s coach. What if my child wants to play at a higher/lower division or competitive level? What is the difference between the Recreational and Rep programs? The recreational ball program offers more of a recreation based experience. The goal of the program is to allow athletes to become active in the game of baseball in an environment that will encourage them to be active for life. Many athletes involved at this level have a great love of the game, however, they may not be able to be as committed as the rep program requires. This program is geared towards allowing all different levels to participate and have fun. This program typically runs from the last week of April through the last week of June. The performance ball program tends to be a more competitive format than recreational ball and requires a greater commitment. Practices are generally 2-3 days a week with games tending to be played on the weekend. Performance teams can be expected to travel periodically throughout Alberta on the odd weekend. Great rewards and confidence are often a result of this program. The Performance ball season typically runs from mid-April through the August long weekend. What do I have to supply my child to play & what does SGMBA supply? PMBA provides all teams with the basic equipment to play baseball. This includes Bats, Balls, Catcher's Equipment and Bases, etc. In addition, each recreational level registrant is provided a Jersey and baseball pants which is to be returned at the end of the season. They also receive baseball socks and ball cap which they keep at the end of season. PMBA has put in place a policy that requires each player from Rally Cap to Midget to have his or her own ball helmet. This helmet policy is in place for reasons such as personal safety, hygiene etc. As well, each player is required to supply their own glove. We suggest the player's name is clearly marked on personal equipment. We require all recreational players to attend pre-season evaluations to assist in our team selection process. Attempts to make all recreational league teams as equal as possible, so every player has an opportunity to have fun and be part of a successful team. All coaches are also encouraged to attend and assist with the running of the drills we will be using in the evaluation process. Pre season Player Evaluations typically takes place during the first part of April for all Recreational League Players. Details regarding possible date(s) and times will be posted and circulated to all registrants prior to the beginning of April. It is imperative that all players do attend the player evaluations. Rep players must participate in the tryout process and be selected to qualify for a Rep team, this process starts during March and continues through to the middle of April. Evaluations and tryouts are are held at various venues. Additional information will be posted on PMBA's website. How & when will I be contacted for team assignments & league start dates? At the Recreational level, team rosters are determined by the Recreational Director and/or in conjunction with designated Recreational Level Directors. Usually this process is completed 1.5 to 2 weeks prior to the start of season. The coaches will notify each team member either by phone or via email at least one week prior to the posted season start date. Final Rep team rosters are determined and communicated to the players by the selected coaching staff members at least 1 week prior to the end of April. Does SGMBA host baseball camps & how do I register? PMBA annually hosts various Winter and Spring Camps. These camps are structured to further develop the skills and knowledge of the game for players at all levels of baseball. Refer to PMBA's website for additional information. Can I be a Coach, do I need to be certified? PMBA is continually looking for enthusiastic and committed volunteer's to coach at all levels for both the Recreational and Rep League programs. PMBA offers a tremendous amount of support to our coaches and hosts numerous coaching clinics each year, in addition to those programs offered on-line through Baseball Alberta/Canada. Various levels of certification are required at the Rep levels and all Recreational level coaches to at least complete the on-line initiation coach module and participate in the level 1 coaching clinic. Can I be an Umpire, do I need to be certified? Yes, if you are 13 years or older, looking for a good summer job and want to be part of the game you can be an umpire. Umpires are paid per the Baseball Alberta fee schedule. All umpires regardless of level they intend to officiate must be trained and certified, each spring PMBA, through Baseball Alberta, hosts a Level 1 and 2 clinic in addition to an umpire-coach clinic. Contact the PMBA Umpire in Chief for additional information. Can any member work a Bingo/Casino to receive a registration fee discount? Yes, any member of PMBA from either the Recreational or Rep League programs can participate in our Bingo/Casino programs to receive discount credits towards their registration fees, however; rep parents are required to work 1 bingo as part of the rep program so priority is given to the rep parents to fill their one bingo requirement and after that it is on a first come first serve basis. All costs associated with playing Recreational ball are covered by PMBA Registration Fees. Rep Player playing for the Twins AA or AAA teams will incur additional costs to cover added Association Expenses, League Fees, Tournaments, Travel and other related expenses. Refer to PMBA's Registration page for more information.